10-7-2014 3 males and 1 female of nest M still available. 10-7-2014 2 males and 1 female of nest L still available. 10-7-2014 Pictures of nest M week 7 and 8 click here. 10-7-2014 Pictures of nest L week 8, 9 and Goodbye click here. 22-6-2014 We are still looking for new owners for 4 males and 2 females. 22-6-2014 New pictures of nest M week 3, 4, 5 en 6 click here. 22-6-2014 new pictures of nest L week 5, 6, en 7 click here. 29-5-2014 M-nest born on 01-05-2014. For pictures week 0, 1 en 2 click here. 29-5-2014 L-nest born on 19-04-2014. For pictures week 0, 2, 3 and 4 click here. 28-3-2014 Ultrasound made and Issy is pregnant. 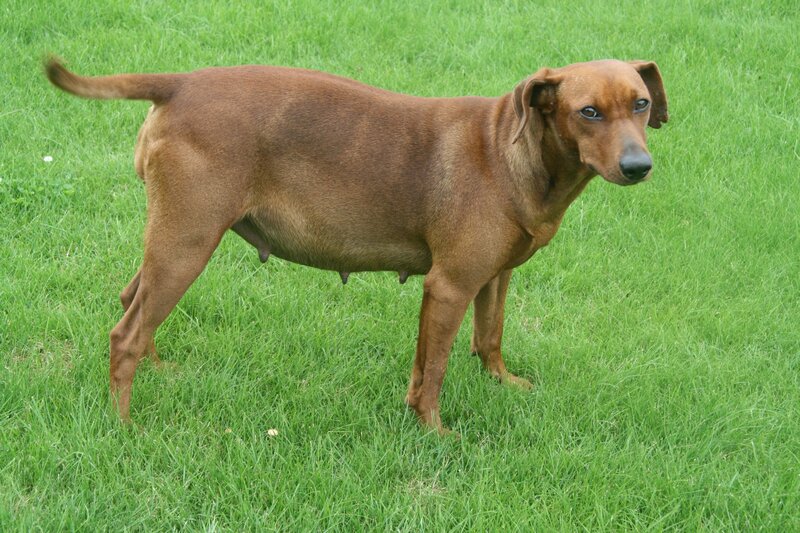 Puppy's expected around 02-05-2014. 21-3-2014 Ultrasound made and Bonnie is pregnant. 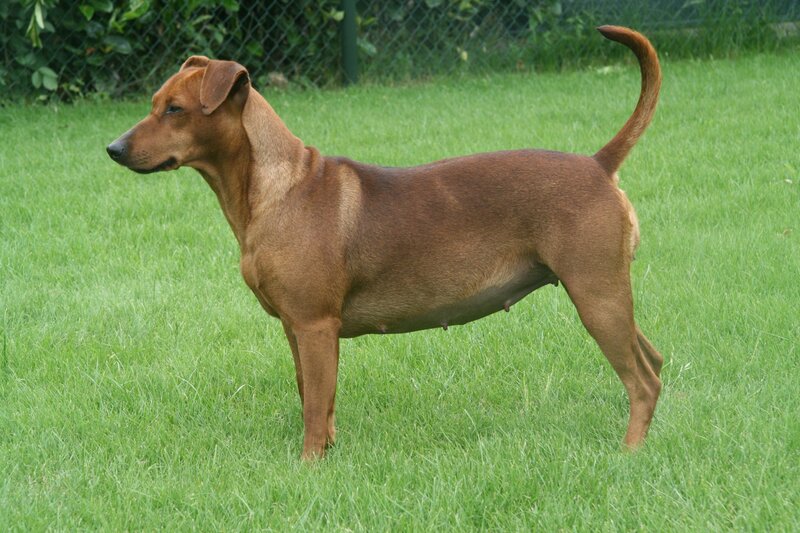 We expect these puppy's around 22-04-2014. 3-3-2014 Issy Black Bohemia has mate with Acon de Villa Duria this is going to be our M-Nest. From this combination we expect as well red as black-red puppy’s. 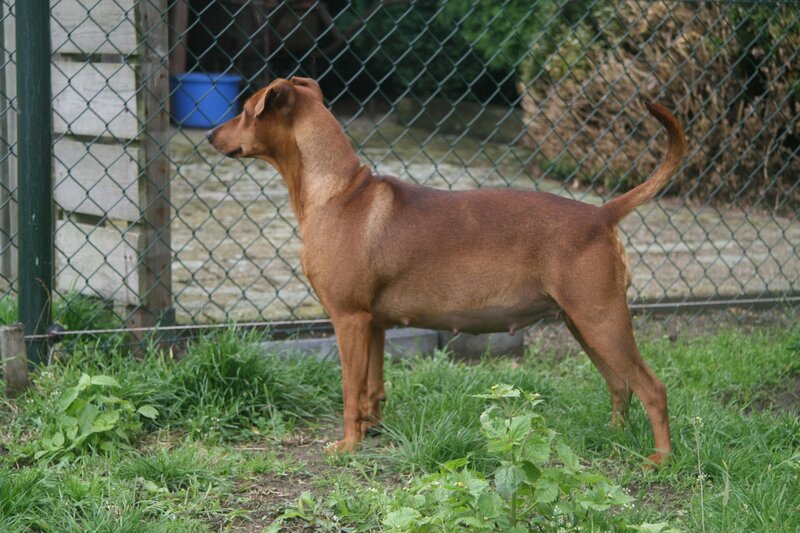 21-2-2014 Proud Jewel Bonnie has mate with Danny vom Lotter Kreuz this is going to be our L-nest. From this combination we expect as well red as black-red puppy’s. 30-11-2013 K-nest pictures week 0 and week 1 added click here. 30-11-2013 09-11-2013 Birth K-Nest. 1 B&T male his name is Kito. Click here for the story. 30-11-2013 09-11-2013 Show KCM Proud Jewel Hero-Kody Youth Class 2U Proud Jewel Fellow Open Class 3U and Proud Jewel Geertje Middle Class 2 ZG. 30-11-2013 03-11-2013 Show Bleiswijck Judge sir Adeheimer Proud Jewel Hailey and Proud Jewel Hero-Kody Youth Class 1ZG. 13-10-2013 J-nest pictures Goodbye added click here. 13-10-2013 J-nest pictures week 8 added click here. 13-10-2013 J-nest pictures week 7 added click here. 7-10-2013 Ultrasound made at Zilly and she is pregnant. 29-9-2013 Show Maastricht Judge B. Baic (Slo) Proud Jewel Hero-Kody Youth class 1U+Best male Proud Jewel Hailey Youth class 1U Proud Jewel Eros Openclass 2 U. 28-9-2013 Show Maastricht Judge E Wieldraaijer Proud Jewel Hero-Kody Youth class 1U Proud Jewel Hailey Youth class 1ZG. 21-9-2013 Show Brussel Judge Sporr R (AT) Proud Jewel Ace 1U Belgian Winner, Proud Jewel Hailey Youth class 1U, Proud Jewel Bonnie Open class 1ZG. 21-09-2013 J-nest Pictures week 6 added click here. 15-09-2013 Clubmatch Den Bosch and surroundings Proud Jewel Geertje Youthclass 1U and BOB judge R Vanhoenacker. \9-09-2013 Zilly was with her boyfriend Ezzo. Now patience is required till 07-10-2013 when there will be an ultrasound. 9-09-2013 08-09-2013 Show Luxembourg Judge Mrs Weber-Martegani Hailey Youthclass 2U. 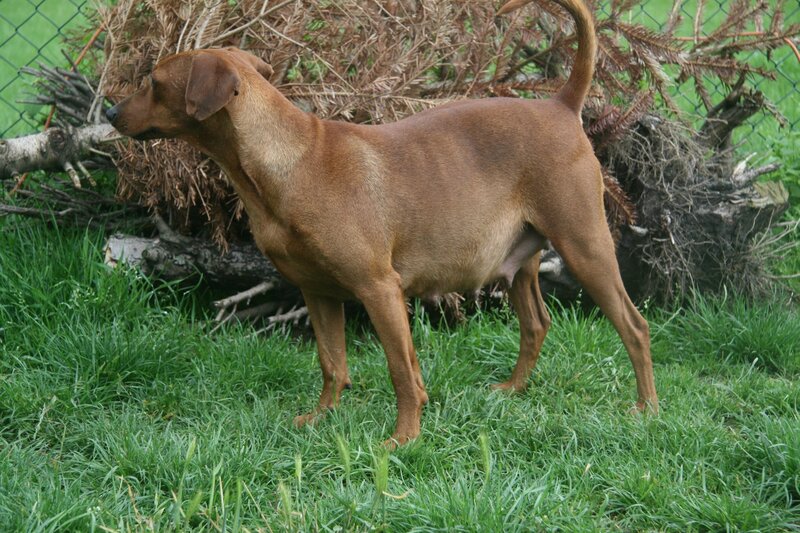 Ace 1U Best male and Luxembourgs champion. 9-09-2013 J-nest Pictures week 5 added click here. 9-09-2013 J-nest Pictures week 4 added click here. 28-08-2013 J-nest Pictures week 3 added click here. 28-08-2013 J-nest Pictures week 2 added click here. 28-08-2013 24-08-2013 Proud Jewel Hailey Rotterdam Judge Mevr Ramsing (Den) Youthclass 4 Zg. 16-08-2013 J-nest pictures week 1 added click here. 05-08-2013 J-nest pictures week 0 added click here. 05-08-2013 I-nest pictures from the Goodbye click here. 01-08-2013 Saturday july 27th our J-nest is born. 7 Puppy’s black and red, 4 male and 3 female. Pictures frtom Week 0 click here. 01-08-2013 I-nest pictures from week 9 click here. 01-08-2013 I-nest pictures from week 8 click here. 09-07-2013 05-07-2013: Aya 5 weeks bearing click here. 09-07-2013 06-07-2013:Show Echt Hailey Youthclass 1U and the CAC. 07-07-2013 28-06-13 Ultrasound Aya and puppy’s were seen; this is going to be our J-nest. Click here..
07-07-2013 I-nest pictures of week 7 click here. 30-06-2013 I-nest pictures of week 6 click here. 22-06-2013 I-nest pictures of week 5 click here. 15-06-2013 I-nest pictures of week 4 click here. 15-06-2013 On 31-5-2013 Proud Jewel Aya has mate with DJ Horst von der Schwalmaue (klik). 28-06-2013 an ultrasound will be made. 04-06-2013 I-nest pictures of week 3 click here. On behalf of 1 red Male we are still looking for a good home. 29-05-2013 I-nest pictures of week 2 click here. 22-05-2013 I-nest pictures of week 1 click here. 20-05-2013 1st Show of Proud Jewel Eros in Arnhem in the middleclass 1U res CAC(IB). 14-05-2013 Aya is in heat and will mate soon. 10-05-2013 Unfortunately this morning the female and 1 red male diseased. 08-05-2013 I-nest born 2 males -1 female Black-Red and 5 males red click here for the birth summary. 14-04-2013 Zilly unfortunately staid empty. Next heat she will mate again. 02-04-2013 Echo done with Zilly however there were no puppies to see. 12-03-2013 Aischa met her boyfriend Danny in Bissendorf (here). 02-03-2013 Zilly met her boyfriend Caid in Berlin (here). 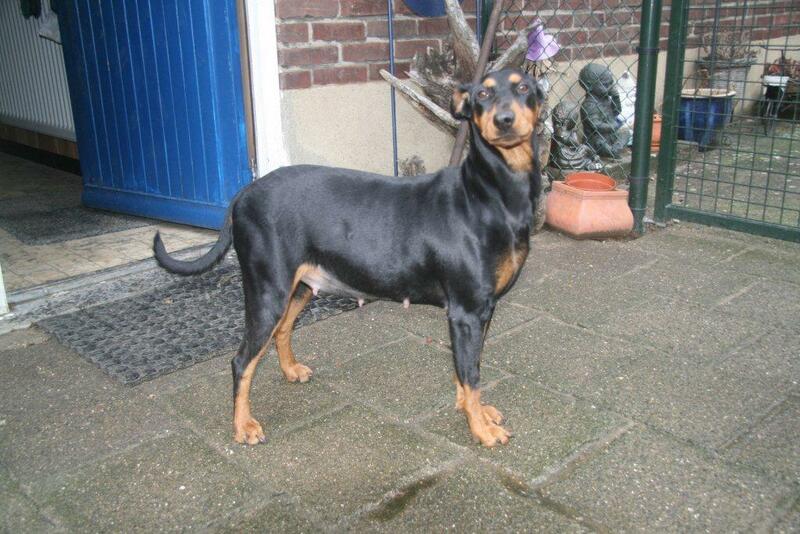 03-02-2013 Eindhoven, Judge H. Bierwolf (AU), Bonnie, CAC/CACIB and BOB she is now Dutch Champion. 30-12-2012 We wish all a merry christmass and a happy new year! Proud Jewel has been in Sweden from 17 to 27 december to visit there newborn grandson Noah. 19-11-2012 Nest H, puppie's 6, 7, 8, 9 weeks old and pictures of them saying goodbye!. 18-10-2012 Nest H, puppie's 5 weeks old. 02-10-2012 Nest H, puppie's 3 and 4 weeks old. 01-10-2012 Proud Jewel Ace, Dutch Champioen!! 02-09-2012 Proud Jewel Issy 8 weeks pregnant. 02-09-2012 Dogg show Luxembourg. Aya Luxembourgschampion!!! Champion class: Aya, U1-cacl-cacib-Best female - Youthclass: Enjoy, U2 - Open class: Bonnie 3U, cac, cacib and Bob. 28-08-2012 Proud Jewel Issy 6 and 7 weeks pregnant. 25-08-2012 Dogg show Rotterdam. Youthclass: Enjoy, 1U and Open class: Bonnie 1U, cac, cacib and Bob. 18-08-2012 Proud Jewel Issy is 5 weeks pregnant. 16-08-2012 Nest E 1st birthday. 07-08-2012 Issy ( Issy black Bohemia) en Max (Proud Jewel Ace) and there nest H. Contact us quick if you are interested in a puppie out of this combination. 16-07-2012 Issy ( Issy black Bohemia) en Max (Proud Jewel Ace) have had an romantic meeting together (06-07-2012) and the puppies will be expected round September. 11-07-2012 Proud Jewel Bonnie and her puppies in week 8, the saying goodbye and profile pictures. 26-06-2012 Proud Jewel Bonnie and her puppies in week 6 and 7 and they have been given names! 05-06-2012 Our digital camera has problems and therefore there are poor and few pictures. We apologize but the next week we make enough pictures to soften it.Proud Jewel Bonnie and her puppies in week 4 and 5. 27-05-2012 Proud Jewel Bonnie and her puppies in week 3. 17-05-2012 Proud Jewel Bonnie and her puppies in week 2. 08-05-2012 Proud Jewel Bonnie and her puppies in week 1. 25-04-2012 The black and red puppy with birth weight 128 grams has passad away. 24-04-2012 Proud Jewel Bonnie became mother 4 Red and 4 Black and Red puppies. 23-04-2012 Proud Jewel Bonnie is 8 weeks pregnant. 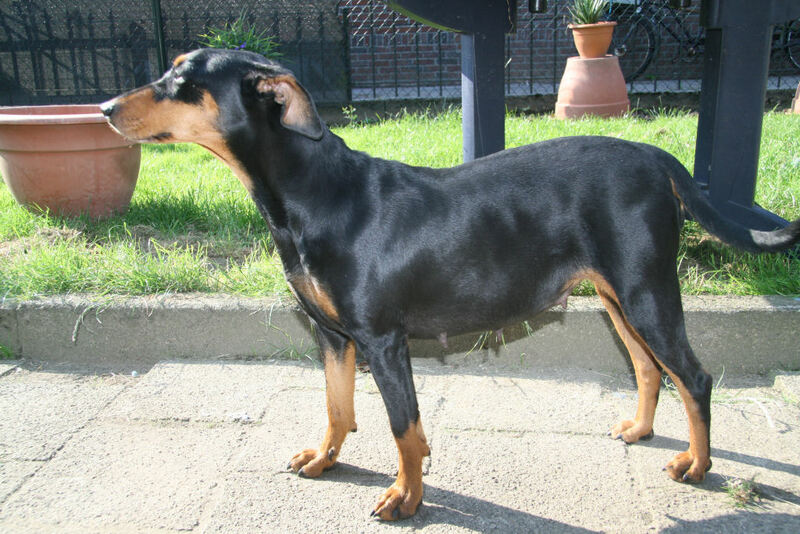 21-04-2012 Hooray Aya got her last CAC point in Goes for Dutch Champion and her brother Max (Ace) obtained 2U in the Open Class. 17-04-2012 Proud Jewel Bonnie is 7 weeks pregnant. 13-04-2012 Proud Jewel Bonnie is 6 weeks pregnant. 04-04-2012 Proud Jewel Bonnie is 5 weeks pregnant. 26-03-2012 Proud Jewel Bonnie is mated with Valko von den Haflingern. Here you can find information, pictures and more. 18-03-2012 Aya and her puppyies in there eighth week and the saying goodbye to nest F.
01-03-2012 Bonnie is mated on February 26, 2012 by Valko von den Haflingern we are expecting a mixed litter. 01-03-2012 Aya and her puppyies in there seventh week. 20-02-2012 Aya and her puppyies in there sixt week. 14-02-2012 Aya and her puppyies in there fifth week. 07-02-2012 Aya and her puppyies in there fourth week. 29-01-2012 Aya and her puppyies in there third week. 23-01-2012 Aya and her puppyies in there second week. 16-01-2012 Aya and her puppyies in there first week. 19-12-2011 2 male puppies (Eros and Eneo) are still looking for a owner! Here are some pictures of them. 01-01-2012 Aya has gotten her puppy's, 4 male and 2 females. Pictures are here. 09-12-2011 2 male puppies are still looking for a owner!!! 28-11-2011 Check our plannings and actuals on litters here! 19-11-2011 Proud Jewel Baileys got back his HD results: HD B. 13-11-2011 Proud Jewel Aya is mated with Quintus vom Unteren Niederrhein and we are expecting puppy's around the beginning of Januari 2012. 06-11-2011 Nest D and Nest E.
17-10-2011 Nest E w.7 and Nest E week 8. 13-10-2011 Aischa w.8 and Issy w.6 and new foto's of her puppies. 01-10-2011 Aischa w.7 and Issy w.5 and new foto's of her puppies. 24-09-2011 Litter D and E together! 24-09-2011 Aischa and new profile foto's of her puppies. 24-09-2011 Aischa and new foto's of week 6 of her puppies. 21-09-2011 Issy and new foto's of week 4 of her puppies. 13-09-2011 Issy and new foto's of week 3 of her puppies. 13-09-2011 Aischa and new foto's of week 4 and 5 of her puppies. 08-09-2011 Issy and new foto's of week 2 of her puppies. 02-09-2011 Aischa and new foto's of week 3 of her puppies. 29-08-2011 Issy and new foto's of week 1 of her puppies. 26-08-2011 Aischa and new foto's of week 2 of her puppies. 24-08-2011 Issy and new foto's of the first week of her new born puppies. 20-08-2011 Aischa and new foto's of the first week of her new born puppies. 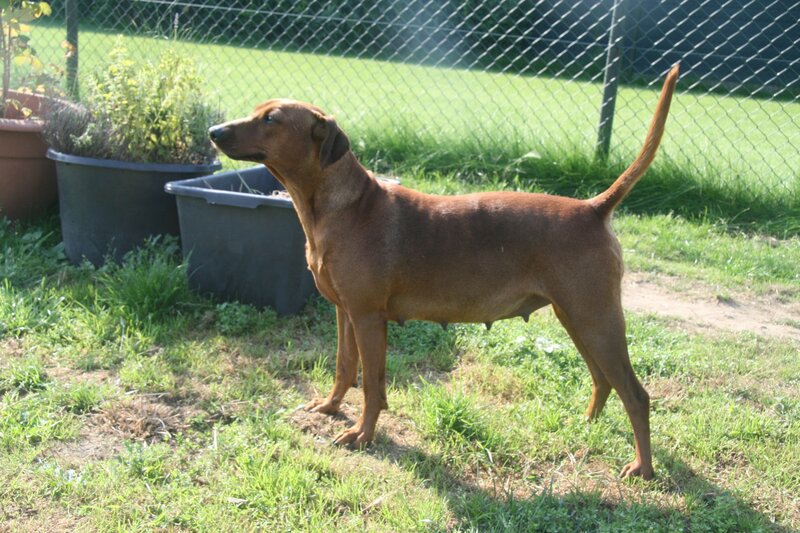 17-08-2011 Issy got 6 puppies on 16-08-2011, 1 red/black female and 5 red males. For more info about them look here!!! 13-08-2011 Aischa and the first week of her new born puppies. 11-08-2011 Issy 8 weeks pregnant. 07-08-2011 One red male puppie didn't made it trough the night and we had to say farewell to it. 05-08-2011 Aischa got 7 puppies, 4 males and 3 females. For more info about them look here!!! 02-08-2011 Aischa 8 weeks pregnant and Issy 7 weeks. 26-07-2011 Aischa 7 weeks pregnant and Issy 6 weeks. 24-07-2011 Show results Bonnie, 3 SG and Aya, 2V in Dormagen. 20-07-2011 Aischa 6 weeks pregnant and Issy 5 weeks. 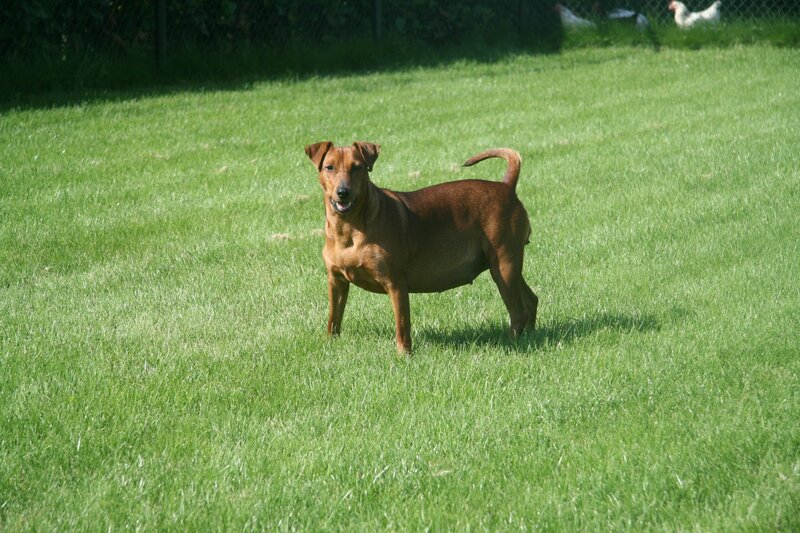 15-07-2011 We have been at the veterinarian and Issy is pregnant!!! 14-07-2011 Aischa 5 weeks pregnant. 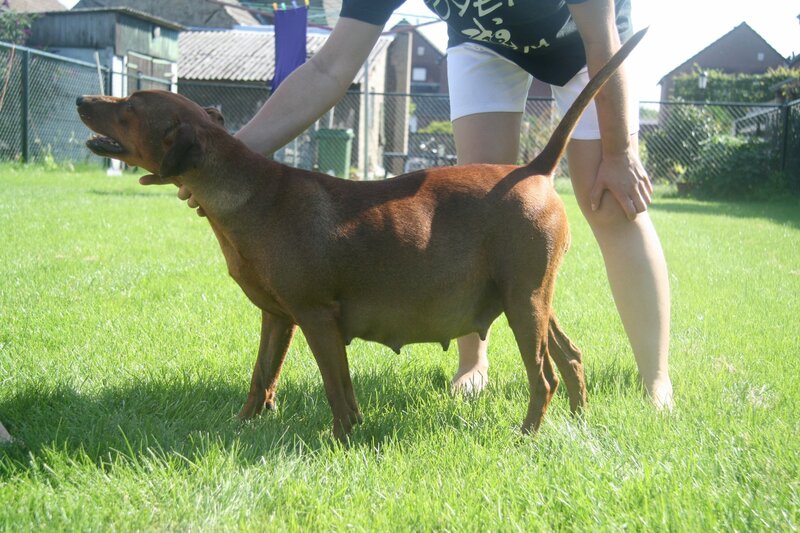 09-07-2011 We have been at the veterinarian and Aschia is pregnant!!! 02-07-2011 Show results: Proud Jewel Aya; 2ZG, Proud Jewel Ace (Max); 1U- resCAC-CACIB and Proud Jewel Bonnie; 1U resCAC + Dutch Youthchampion. 01-06-2011 Doggshow on 29-06-2011 in Oss with judge miss C. Kerssemeijer: Proud Jewel Bonnie, Youth class 4ZZG and Proud Jewel Ace(Max), Youth class 1U Dutch Youthchampion. We are proud on fam. v. Esburg. 25-05-2011 New pictures from week 7 of Zilly and her puppy's are here and here are profile pictures. 22-05-2011 The names of the puppies are also known Green= Cooper Capone, Yellow= Chester and Red= Chuck. 19-05-2011 We are with Aischa, Issy, Aya and Bonnie to the eyedocter and the result is that they are free of hereditary eye diseases for 12 months. 15-05-2011 Judge Mrs L Utke Ramsing (DK), Bonnie 3ZG junior class and Ace (Max), Junior Class 1U Goes. 11-05-2011 Treuliebs Daniela, Proud Jewel Aya and Proud Jewel Bonnie have been in Dortmund to a dogshow. We are proud at Proud Jewel Ace for getting a v1 fci Jahres-Jugendsieger. 07-05-2011 New pictures from week 5 and profile pictures of Zilly and her puppy's are here and here!!! 03-05-2011 New pictures from week 4 of Zilly and her puppy's are here!!! 24-04-2011 New pictures of Zilly and her puppy's are here!!! 19-04-2011 B-nest is today 1 year old. Aischa congratulates all of her kids with there first birthday. 16-04-2011 There is one puppy left that is in search of a beloving home! 15-04-2011 New pictures of Zilly and her puppy's are here!!! 10-04-2011 Pictures of Zilly and her puppy's are here!!! 03-04-2011 Thursday 24/3 Zilly started as described in the books to not eat, eat grass to vomit and pee and poop to further empty. Zilly also had contractions but suddenly she broke them off. 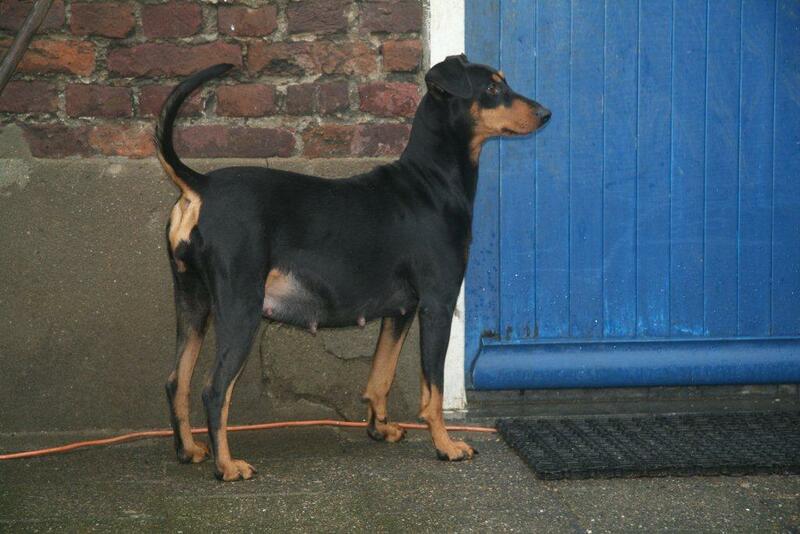 We then waited until the next morning and went to the vet, we decided to order a Caesarean 14.00uur for her. Afterwards, we where glad we did that, because it gave us this great three males and certainly not to mention saving Zilly. In one of the horns, all the puppies aborted and the vet due to space limitations (in this horn were echo 8 fruit vesicles shown). The vet has checked our 3 puppies, and they handed to us in good health. After which we returned home at 16:15 hours. Now we must make sure that the uterus Zilly will not ignite. 01-04-2011 Pictures of Zilly and her new born puppy's are here!!! 30-03-2011 Zilly has gotten her puppys on 25-03-2011, they are 3 healty male puppys. 20-03-2011 Zilly: 8 weeks pregnant, see here. We expect them around 24-03-2011. 20-03-2011 Bonnie: Leiden, Youth class, 2U. 13-03-2011 Zilly: 7 weeks pregnant, see here. We expect them around 24-03-2011. 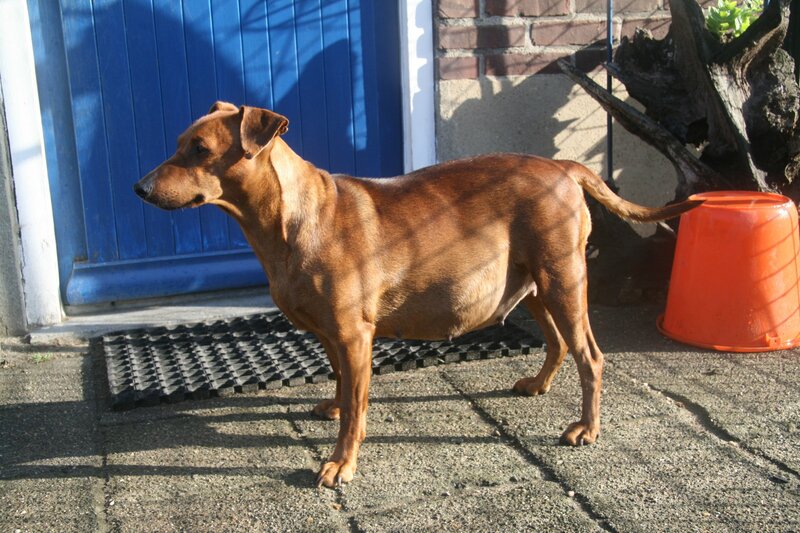 08-03-2011 Zilly: 6 weeks pregnant, see here. We expect them around 24-03-2011. 01-03-2011 Zilly: 5 weeks pregnant, see here. We expect them around 24-03-2011. 23-02-2011 Zilly: Today we where at the veterinair and he saw that there are a lot of puppys to see. At this moment 1 male and 2 females are already booked. We expect them around 24-03-2010. 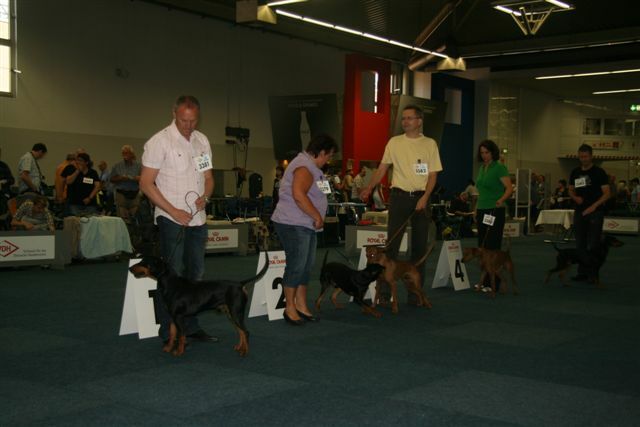 12-02-2011 Dogshow Rhenberg: Aischa - Chammpionclasse 1U res.cacib and Aya: Youth klasse 2V. 06-02-2011 Dogshow Eindhoven (NL): Bonnie - Youth 1U CAC, Best female, und Ace: 1U CAC, BOB. 26-01-2011 Zilly is mated with Florian vom Robinienhof and in 4 weeks we gonna do an ultrasound. 19-12-2010 Aya - 2U Youthclass Brussel. 05-12-2010 Nest A is celebrating there first birthday! 28-11-2010 Winner in Amsterdam. 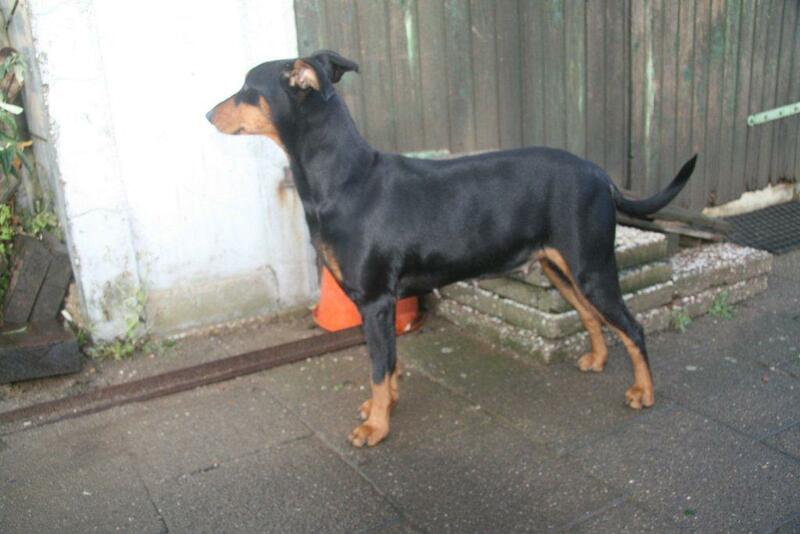 Aya: 1U (Youth Winner 2010), Bonnie: 2VB in the puppyklasse and Aischa: 2U in the championklasse. 28-08-2010 Treulieb's Daniela ( Aischa ) won the titel of Dutch Champion in Rotterdam Ahoy. 28-08-2010 We went to the vet and Issy doesn't have puppy's in her belly. 16-06-2010 We have said goodbye to Nest B here you can find pictures. 06-06-2010 Dogshow Tilburg: Aya, 1vb pup and Proud Jewel Amos ( Digo ), 1v best pup. 10-05-2010 Here you can find pictures of Ronya, Massi, Max en Digo. 16-04-2010 Hurray they are born, Aischa's puppy's. 7 puppy's, 4 females en 3 males. Couple of puppy's are available. Here for more info. 16-04-2010 Result from Raad van Beheer, Issy hd A. 16-04-2010 Treulieb’s Daniela callname Aischa is 8 weeks pregnant, here you can find more information. 08-02-2010 We have said goodbye to Nest A here you can find pictures. 03-02-2010 New puppy pictures! 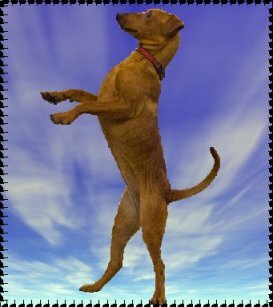 here you can find pictures of the puppy's. 05-12-2009 Hurray they are born on 05-12-2009. There are 7 puppy's, 4 females en 3 males and all are black/red. 27-11-2009 Issy has won the titel Youthwinner 2009 in Amsterdam. 27-11-2009 Result from Raad van Beheer, Aischa hd A. 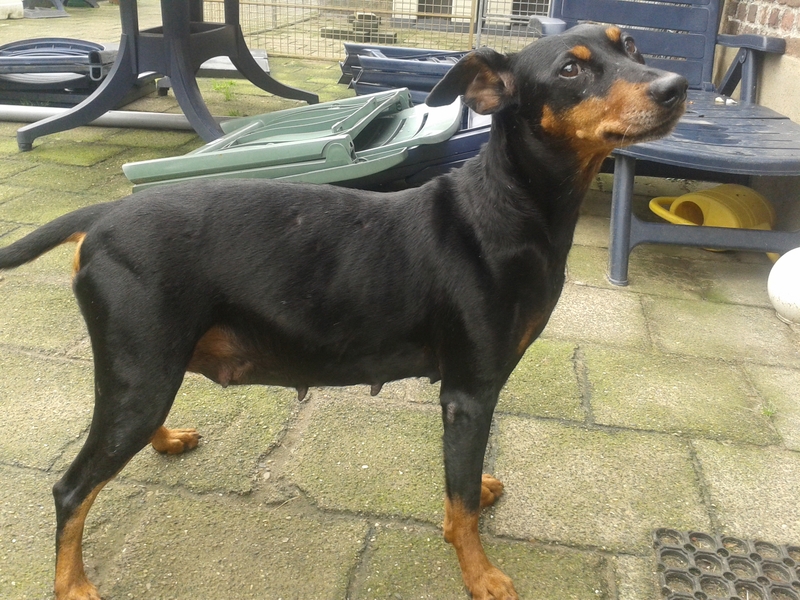 31-07-2009 Swimming German Pinschers! Look here for the pictures. 04-07-2009 Treulieb, Daniela (Aischa) became Dutch Youth Champion. She got her last U in her own local Echt.